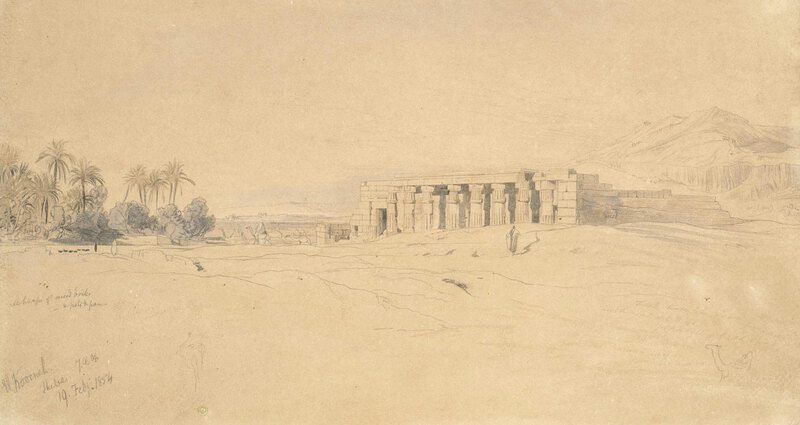 Edward Lear, El Karnak, Thebes. Inscribed and dated ‘El Koornek/Thebes 7:00 on/19.Feb.1854’ (lower left) and annotated throughout. Pencil and watercolour. 28 x 48.9cm (11 x 19 1/4in). This entry was posted in Edward Lear and tagged Edward Lear, Egypt, landscape, travel, watercolours. Bookmark the permalink.